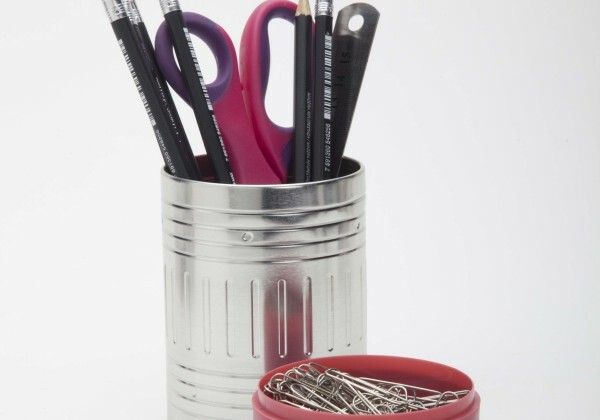 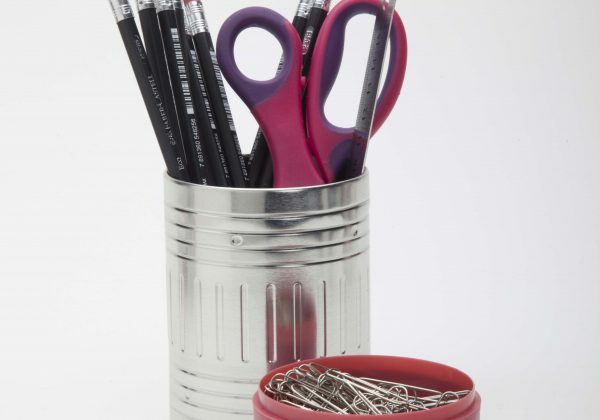 Erase the mess from your working space! 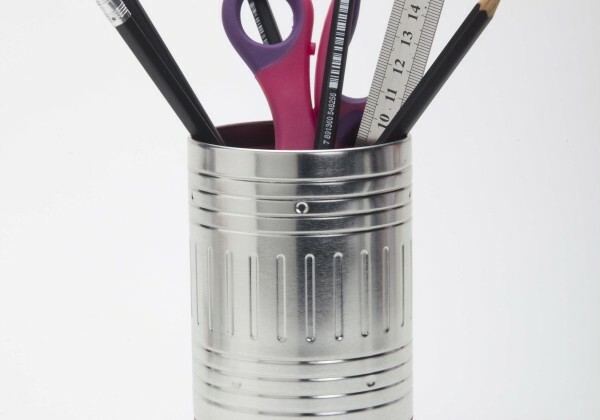 This desktop appliance can store your stationery and other office supply either in two separate cans, or as one can with a lid. 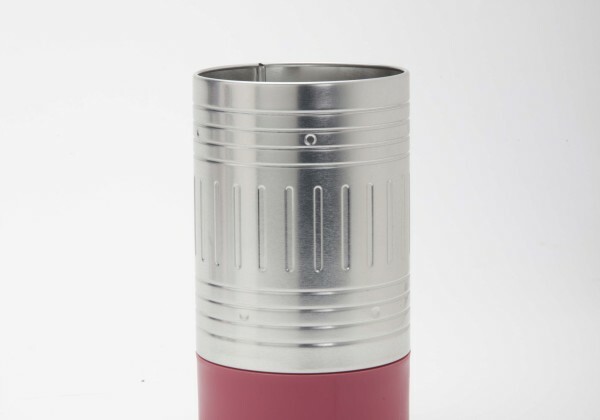 Made from tin and plastic, painted white or pink. 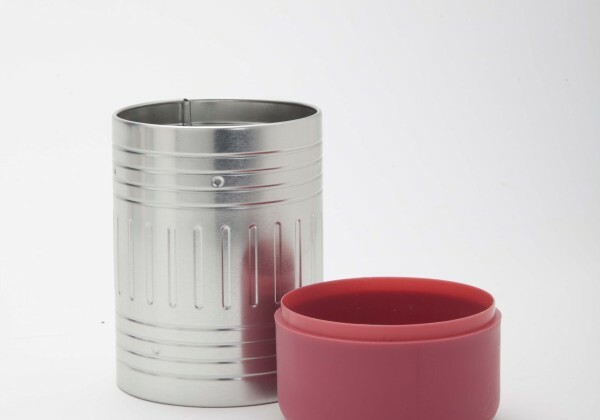 Sizes: Height: 14 cm, Diameter: 7 cm.